For the first time in his life, Ross Barkley will be facing his boyhood club. After progressing through the academy into the first team at Everton, there will be some strange feelings for Barkley as he tries to do everything in his power to cause misery for supporters that once cheered his name. 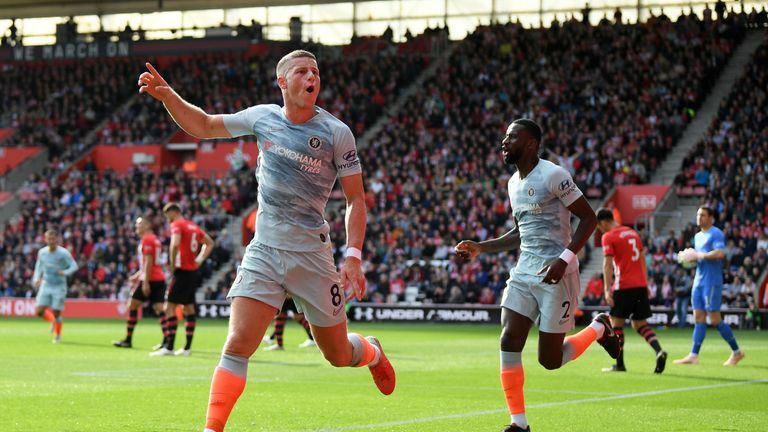 Sunday - live on Sky Sports from 1pm - will be the first time the midfielder will take on his old club since his £15m move to Chelsea in the January transfer window. After a difficult start in London, Barkley returns, arguably in the form of his life. Following a summer of hard work and recovery from various injury niggles, Chelsea are now seeing the best of him and he has rewarded them with three goals in his last four games, including a late equaliser against Manchester United. He has returned to the England fold, too, playing a key role in their 3-2 Nations League victory against Spain. The rough-around-the-edges Evertonian is threatening to become the real deal. 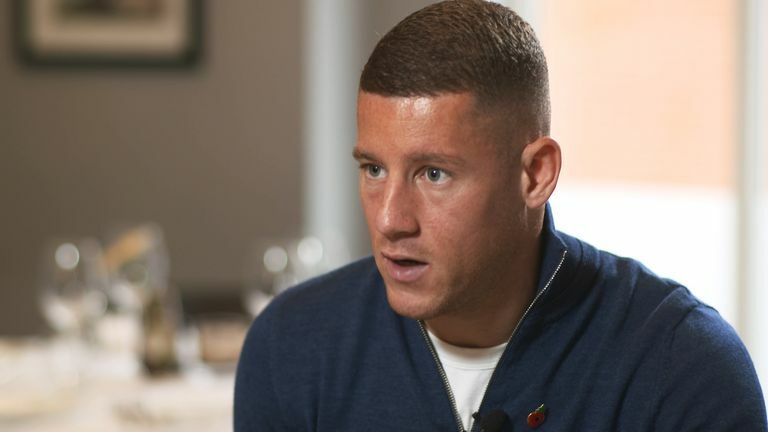 In an exclusive chat with Jamie Redknapp at a local Italian restaurant ahead of Super Sunday, Barkley is anticipating a mixed reaction from the away end. "I don't think it will be the best," he said, when asked about what reception he is likely to get. "There might be a few who might say a few good things. "I achieved my dream of playing for Everton, from a young age I always dreamed of scoring for Everton. In my living room I always used to tell my mum 'one day I'll score for Everton' and when that happened it was unbelievable for me. I tried to achieve success there but sometimes these things happen in football. "Coming to Chelsea was a big challenge for me. "I was approaching 25 and I felt looking back I could have improved a lot more [at Everton]. "At Chelsea I knew I'd improve a lot quicker around better players, world-class players. "I'm not nervous, I'm excited to play against my former club and team-mates - I understand how some of them play, so that could be an advantage for me. "On the day I might get a few nerves as it will feel a bit strange. I'm looking forward to catching up with some of the staff there who I used to get on really well with." Barkley admits leaving the comforts of home for pastures new in London was a difficult transition. But one the 24-year-old has relished. Like any young adult who moves away from home for the first time, Barkley feels he has done a lot of growing up. Sky Sports pundit Jamie Carragher noted this change on Monday Night Football, commenting on how his decision making has improved since joining Chelsea and how he liked his authority in taking control of certain situations. Off the field, too, it seems Barkley is making steps to eradicate the mistakes made in the past, including having his tattoos removed. Barkley's left arm previously had artwork on it, including the date of his debut for Everton, however, he's now had it all removed. "I was very young when I got my tattoos," he said. "I was 16 when I got my full sleeve - I rushed into it. Over the years I didn't really like having them. My mum told me at the time she wasn't sure about me getting them and that I rushed into them - and she still says that to this day. I've been getting them removed over the last couple of years. "I'll be 25 in a couple of weeks. I feel like I've matured over the last couple of years, dealing with injuries and moving to Chelsea. I've had to push myself and I've really matured." Moving away from home has also encouraged Barkley to test his mettle in the kitchen - and his skills were on show with Redknapp in the feature which you can watch ahead of Super Sunday. "Each individual has their own pre-match ritual and pick off the menu. But I usually have a bit of pesto - either spaghetti or penne. On game-day I'll add a bit of meat to it and maybe some greens." Is Maurizio Sarri strict on diet? "The manager is pretty relaxed at letting players eat what they want. We are professionals - we know how to eat well. Under Antonio Conte it was a little bit more strict with certain things that weren't on the menu. The gaffer now is more relaxed with things." "Now and again there are a few cookies going around the training ground. If we have played a game I can afford to have one." You can see more from Jamie and Ross in the build-up to a great Super Sunday, live from 1pm on Sky Sports Premier League and Main Event.